P19 INK4d antibody LS-C9416 is an unconjugated mouse monoclonal antibody to human p19 INK4d (CDKN2D). Validated for IHC, IP and WB. 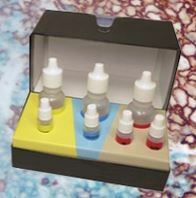 Suitable for use in Immunohistochemistry, Immunoprecipitation and Western Blot. Immunohistochemistry: Frozen sections. Positive control: Spleen.